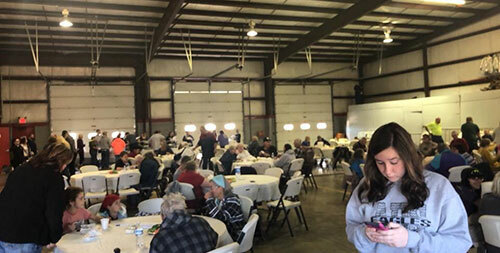 The Austin High School cheerleaders took time out of their Thanksgiving Day to help serve dinners at the Jennings Township Volunteer Fire Department. It was so nice of them to take the time to give back. Special thanks to Nicole Swank and Pam Spencer for your help.